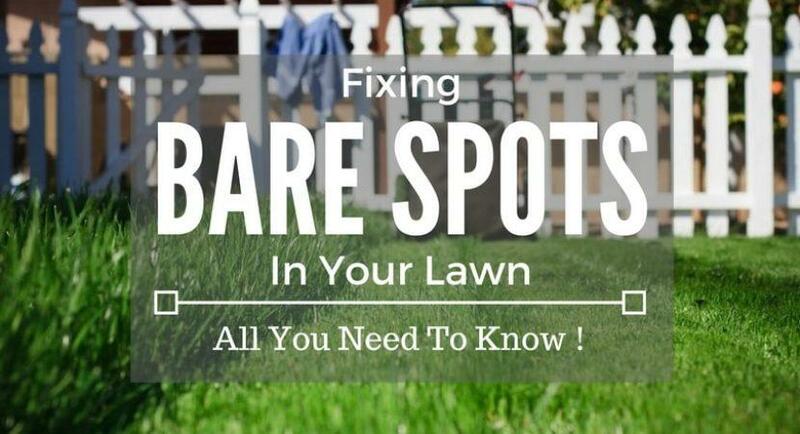 Fixing Bare Spots In Your Lawn: All you need to know ! 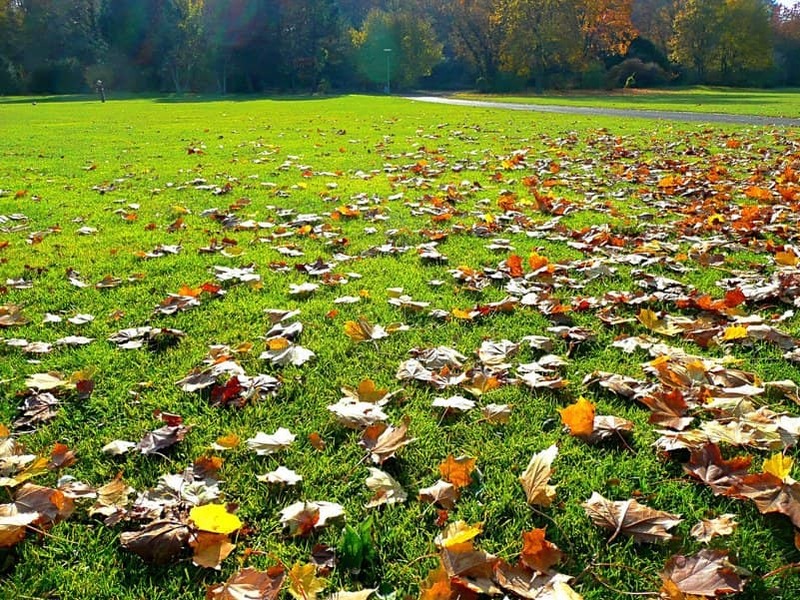 It is hard to accept bare spots in our beautiful and green lawns. After spending lots of time, effort, and even money in order to have a healthy lawn, not many of us can feel fine when seeing it. In some cases, bare spots can be a sign of lawn problems. However, it does not mean that you need to reseed the whole lawn just to fix one single spot. In this article, I would like to show you an easier way to get rid of it! Have you known all about bare spots? Even though treating bare spots is easy, when you know your enemies well, you will win! Before treating them, we should find out what is the reason that causes these spots. There are several root causes, one being they could be the result of heavy foot traffic. Normally, when you walk too much on your lawn, especially in drought conditions, the lawn will be stressed and the soil will be compacted. Then, it will cause bare spots. Or bare spots can appear if when applying herbicides or fertilizers, you have forgotten to spread them evenly. A spot that contains too much chemistries can be burned. Finally, bare spots can be caused by a lack of water when you haven’t watered your lawn properly. How to fix bare spots correctly? After determining the main reasons that cause bare spots, it is time to fix them. Make sure that you have all the necessary tools and materials, including: some types of lawn mower such as push reel mower, self propelled mower, grass seed, fertilizer, spreader, and water. Starting with removing the dead or damaged grass carefully, make sure that you have already removed their roots as well. 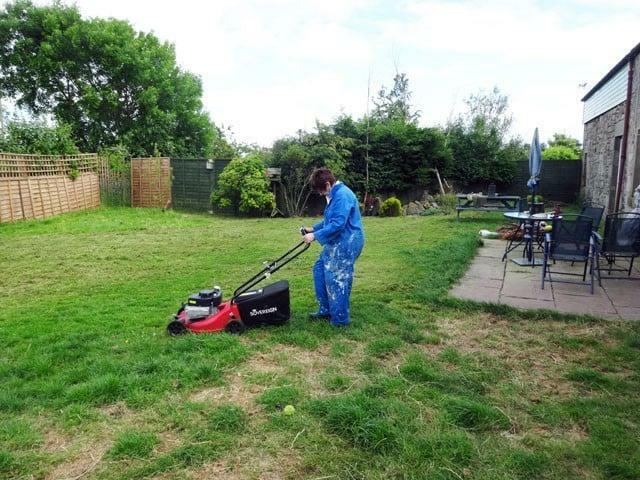 When the surface is clean of grass, loosen and smooth the soil. This practice will help us treat the compacted soil and make new seeds grow well. After seeding, water the new repaired area frequently. New seeds require lots of water to grow and develop their roots. 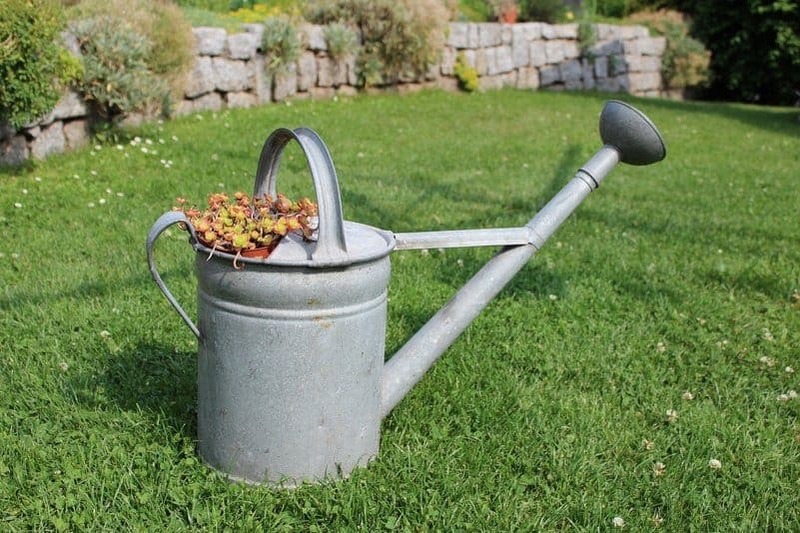 Therefore, water 1 – 4 times per week for the fixed area and keep the old watering schedule for the rest of your lawn. After that, you can change to the normal water schedule when the new grasses are growing strong. One of the important things that we usually forget is that we should treat the repaired areas as if they are a “new born”, not as a well-established area like the rest of your lawn. Therefore, besides maintaining the recommended level of moisture in these areas, please remember to mow it properly. When the new seeds grow, do not apply herbicides to these areas. The chemistries can burn the seeds and affect the germination rate. If you have to treat weeds, find a product that can be used for the new seeded lawn. Grassroots don’t grow in compacted soil. Due to the heavy traffic, soil will be compacted, and there is no space for new roots to grow. So, to prevent bare spots, please do not directly step on your lawn. Excess water can also cause bare spots if the water cannot evaporate quickly. The remaining water on the surface in a long period of time can damage the root system and cause bare spots, as well as moss and weeds. Grasses require sun to ensure a healthy lawn. So, please make sure that the new grass in the bare spot can be in the sunlight every day by trimming the branches of the trees around that area, or remove anything which causes shadows. Mowing too short can be one of the reasons why you fail in fixing bare spots. Mowing too short can lead to lawn stress and reduce the vigor of it. Therefore, other lawn problems will appear such as lawn diseases, weeds, pests and bare spots. In fact, fixing bare spots is not too hard since it does not require much effort, time, or money to get back your beautiful lawn. You may feel worried after reading this long article because there seems to be so many things to remember. But don’t worry. When you apply the knowledge in this article, you will see that it is a piece of cake. Just learn and understand about the bare spots carefully. I believe that those spots will never be your concern anymore!